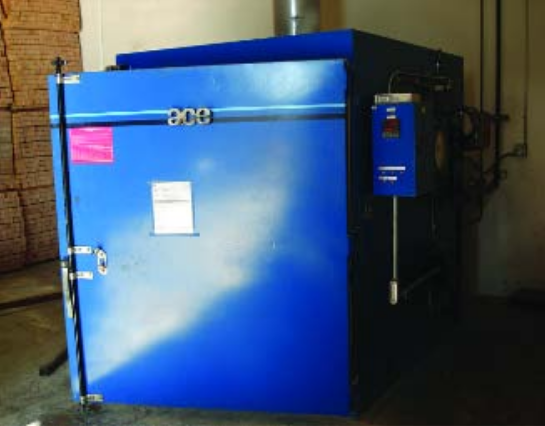 A manufacturer installs a burn-off oven to improve production efficiencies, reduce operating costs, and boost its powder coating capabilities. What’s more, the oven paid for itself in 6 months. Los Angeles-based Hannibal Industries has a tubular division that makes steel tubing and a material handling division that manufactures pallet rack. The material handling division supplies distributors and direct retail, such as Home Depot. 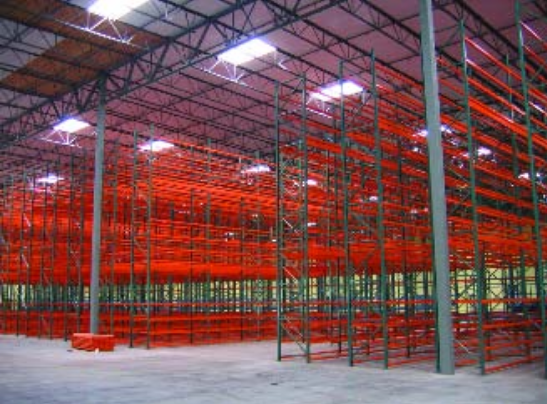 The racking is made from a light gauge, roll-formed steel or a heavy-duty structural steel. Hannibal performs its own roll forming. After receiving steel coil directly from the steel mills, the tubular division uses its splitting lines to split the coil to the specified widths. Then, the material handling division has six roll-form lines that convert the strip into either the beams or the columns for the pallet rack. The company’s product line consists of standard size frames, lengths, and beams. These roll-formed frames can be set at whatever height the rack system demands. Beams span lengthwise between the frames and can be placed at different locations on the frames. The beams serve as shelves. The frames support the shelves. The modular system consists of either 42-inch or 48-inch- deep frames, from 12 feet to 35 feet tall. The structural pallet rack serves specific applications, such as warehouse operations where workers drive right in with the pallets or push-back racks, or use different sorts of pick modules customized to the warehouse and the material handling system. “The warehouse products are all meant to get better storage space out of your existing floor space,” said Travis Linds, operations manager. Hannibal Industries uses this burn-off oven to remove powder buildup from its hangers. Since the material handling division began in 2000, it has applied powder. At that time, Hannibal Material Handling bought a roll form company and a rack manufacturing company, and brought those operations to its LA location. Line operator’s load hooks by the basketful into the oven. When the burn-off cycle is complete, a worker removes the ashy residue with a power washer. The company’s material handling division manufactures pallet rack, supplying distributors and direct retail, such as Home Depot. 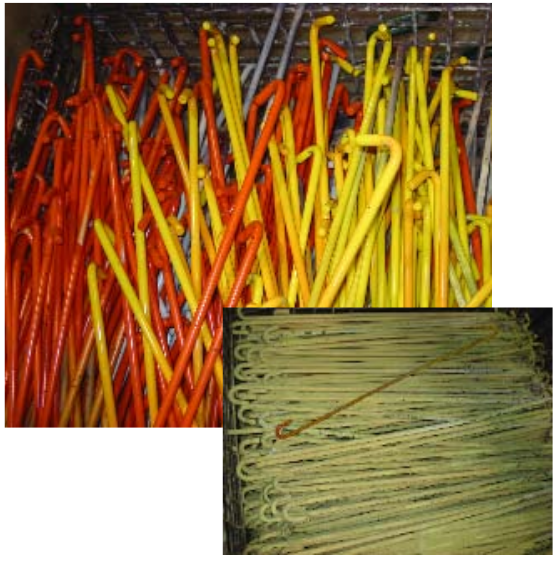 Workers accumulate the coated hangers in large wire baskets, which are placed on a cart and rolled into the oven. Baskets are stacked on the cart to allow sufficient airflow to promote burn-off efficiency. Most of the time employees use forklifts to load the oven cart. The line supervisor is responsible for loading and operating the burn-off oven. The operator chooses from three preset programs depending on the load in the oven— small, medium, or large. The oven controls provide the flexibility to do other programs. To date, Hannibal hasn’t needed to use any additional burn-off program cycles. In addition, the oven is equipped with an afterburner. The oven needs to reach a specific set point. Hannibal needed to get a permit that requires the afterburner to exceed the set point—1,010°F—to ensure there is total combustion of any byproducts. 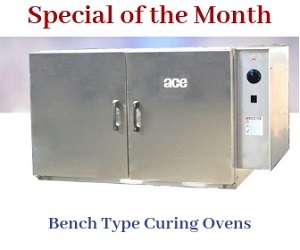 For every burn-off cycle performed, workers record the date, time, and temperature of the oven and the afterburner. For further reading on the topics discussed in this article, see Powder Coating magazine’s Web site at [www.pcoating.com]. Click on Article Index and search by subject category. Have a question? Click on Problem solving to submit one. To receive the magazine’s weekly Q&A column via e-mail, scroll to the bottom of the home page and send us your e-mail address. The weekly column includes a reader advice section that allows you to offer ideas to readers’ questions. Continental Industries, Tualatin, Ore. 503/692-3400. www.continentalcompanies.com.